This List of Dog Breeds includes... the BEST information on everything dog breed related! With so many breeds out there, a comprehensive list of dog breeds can help you choose just the right one! It's really important that you choose the right breed for your family, one that complements your current lifestyle (not the lifestyle that you wish you had!). You may wish that you were more active, but getting an Australian Shepherd in the hopes that you'll start running every day is a bad idea. You're more likely to end up frustrated because your poor dog isn't getting enough exercise, causing certain behavior problems to crop up, such as digging, chewing, or barking. Instead, look for a dog breed that has activity levels that are equal to or less than what you currently can give a dog. This is good way to ensure that both you and your new dog will be happy and have a great relationship. All these breeds are split into roughly seven categories, making the decision a little easier. They are not listed according to size or type of coat, but what they were originally bred for. The dog breeds in these lists will have similar temperaments, traits, and exercise needs. Skip down to the bottom of the page to check out the dog breed selector quiz! 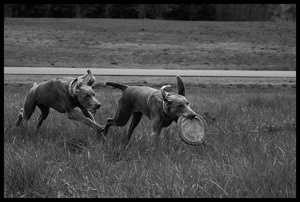 A couple of Weimaraners enjoy some off-leash play. Here you'll find pointers and setters, spaniels, and retrievers. Some were bred for only one task, others are multi-taskers and can do all of the above! These breeds are great with people, and tend to be good with other dogs as well. Very active, trustworthy, fun-loving, intelligent and extremely trainable. Includes: Weimaraner, English Setter, Cocker Spaniel, German Short-haired Pointer. This group in the list of dog breeds can be split into two sub-groups: sight hounds (those that use their eyes to spot prey and then chase it down) and scent hounds (those that follow their noses). Overall, these breeds are fairly untrustworthy off-leash without plenty of training - any smell or moving object will lure them away from home. Sight hounds are very fast, quiet, aristocratic, and independent. Scent hounds are "wanderers", independent, predatory, and more difficult to train. Includes: Afghan Hound, Whippet, Beagle, Blood Hound. These are the big boys and girls - big dogs with big jobs. They guard, protect, haul sleds or carts, save humans, and much more! They are hard-working, large or giant sized, very loyal, confident and need a lot of exercise. Keep in mind - this group of dogs need a firm handler as they will easily take over a passive owner. If you decide that this group is for you, make sure that you begin obedience training when your puppy is still young for the best relationship. Most of the working dog breeds have quite a bit of fur - they need it for all of their jobs. Having one of these dogs as a house pet usually means that you'll have clumps of fur on the floor and stuck to your pants! Includes: Doberman Pinscher, Leonberger, Newfoundland, Mastiffs. Originally bred to find and kill vermin, this list of dog breeds tend to be bold and feisty. If you want a dog that is mischievous, energetic and stubborn - this is the one for you! They can be difficult to train, but can be a very fun family dog. These dogs are fearless, and as such, can be expected to stand up to a fight if provoked (although not necessarily go looking for one). Many of these breeds originated in Britain. The tallest of this group is the Airedale Terrier, while the majority of terriers are small to medium sized. Blue, Don Cherry's dog, otherwise known as a Bull Terrier, has a nice short coat that is easy to groom at home. The same goes for the Miniature Bull Terrier, Staffordshire Bull Terrier, Manchester Terrier, and the Smooth Fox Terrier. 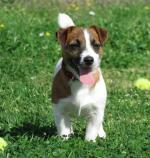 Includes: West Highland Terrier, Bedlington Terrier, Airedale Terrier, Jack Russell Terrier. Most of the other groups are represented here, in mini-size. Bred to be lap-dogs, this list of dog breeds still have the same instincts and temperaments as their larger look-a-likes. They are cuddly, good watch dogs, affectionate and, well, portable. Remember, just because they're small, doesn't mean that they don't need exercise! 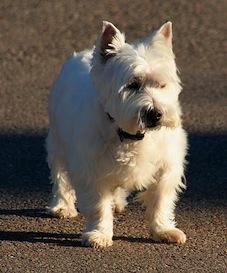 Under-exercised dogs get into trouble very quickly, as they still need an outlet for all that pent up energy. The same goes for obedience training. 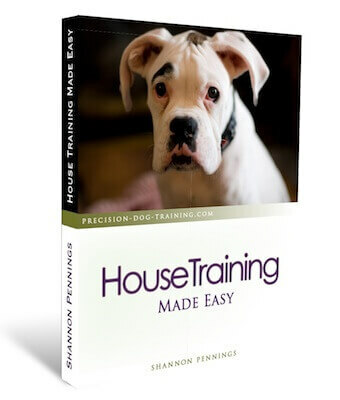 Many people mistakenly think that there is no reason to train a small dog as they are more easily "controlled". Well, I can tell you, I have seen plenty of small dogs with aggression issues or simply being completely out of control. They tend to get Big Dog Syndrome. Small dog who thinks he's the size of a Bull Mastiff. We've all seen it before... so please don't be that owner with the crazy miniature poodle! Includes: Chihuahua, Yorkshire Terrier, Pomerian, Toy Poodle. These are the breeds that don't really fit in anywhere else. They have a lot of diversity in size, coat, and temperament. From the blue-tongued Chow Chow to the hairless Xoliotzcuintli (yeah, try to say that five times fast! ), there is so much variety and beauty here. If you can't seem to find the right one in the other lists of dog breeds, look here and you're likely to find the perfect pooch! Sizes range from small Shih Tzu's to larger Dalmations and Poodles. Includes: Keeshond, Tibetan Terrier, Bulldog, Dalmation, Chinese Shar-Pei. Just like it sounds like... they herd cattle, ducks, sheep, and yes, sometimes your kids if they become bored (which happens very quickly...). Excellent family pets, this list of dog breeds are good with other animals, protective and effective guardians. Herding dogs are reliable, active, and agile. They need a job to do, even if it's excelling at obedience training! Without a ton of exercise, these guys can become troublemakers from boredom. Trust me, I've had owners come to me at their wit's end because of their hyperactive Australian Shepherd. If you don't have the time or energy to dedicate to this busy group, better look elsewhere. Includes: German Shepherd, Border Collie, Shetland Sheepdog, Puli. These breeds have not yet been accepted into the Canadian Kennel Club, but are awaiting recognition. It's a small list of dog breeds, but those in it are usually uncommon and easily get attention from their looks. Includes: Australian Kelpie, Shikoku, Dogue de Bordeaux. By the way, there are no true non allergenic dog breeds or hypoallergenic dog breeds. Some breeds are more easily tolerated by allergy sufferers though - this would include dogs with hair as opposed to fur (poodles, etc.). By getting a feel for the different list of dog breeds in the groups mentioned above, you can better understand which one will be right for your family.